This project management interview questions and answers guide covers a number of the questions you can expect in your next project manager job interview. These are the different types of interview questions you can expect to face. These interview questions explore the candidate's understanding and approach to key project management responsibilities and the relevant skills they have. 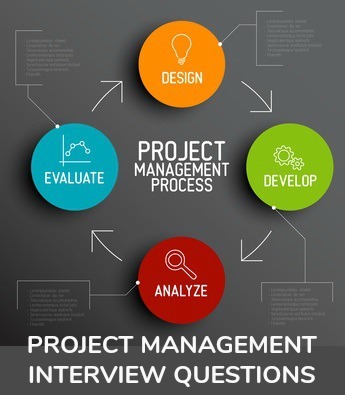 Be ready with excellent project manager interview answers about your project management skills. The answer guide provides a clear understanding of what the interviewer is looking for when asking these questions. These project management interview questions explore the candidate's project delivery experience and experience in successfully managing a project team. Find out how to prepare convincing interview answers about your project management experience. 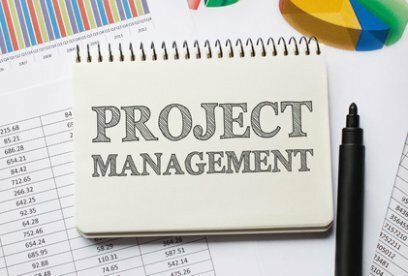 Gain a full understanding of the project management role and responsibilities. A detailed project manager job description clearly communicates the key tasks and requirements of the project manager job in any organization. The sample project manager resume provides a framework for developing your own convincing project management resume. What are the Qualities of a Good Project Manager? Find out what makes a good manager. These leadership interview questions assess leadership competencies for the project management position. Practice before your interview developing and formulating concise interview answers to standard project management interview questions. Be prepared to discuss the projects you have been involved in. Make sure you have key project data to hand, such as budget, size, team members and time frames. Prepare for common job interview questions using these sample answers. Ask a family member or friend to conduct a mock interview with you using the list of questions. Have some good questions prepared to ask the interviewer. Use your background research to formulate insightful, well-considered questions. The job interview question list provides examples of smart questions to ask in your job interview. In addition to your list of questions to ask include the following in your interview portfolio - 2 copies of your resume, employment reference list, copies of any written references you have and relevant project data from your previous projects. Communication skills are core to the project manager job. Interviewers will be assessing the candidate's communication ability and style throughout the interview. Be aware of both your verbal and non-verbal communication.